A wild swan, ready for Christmas dinner. This brief Christmas Prayer is from my new short story, “A Visit from Auntie Thresa Claus” that will be released in 2010. Both screen and stage play versions of the story are presently available. Once some illustrations for the story are ready, I will start a new blog on this project. Heavenly Father, in remembrance of the child Jesus that you gave to save the world from sin let us celebrate this day in honor of his birth. Bring peace and your blessings to those gathered here, this family wherever they may be and to the world. Amen. 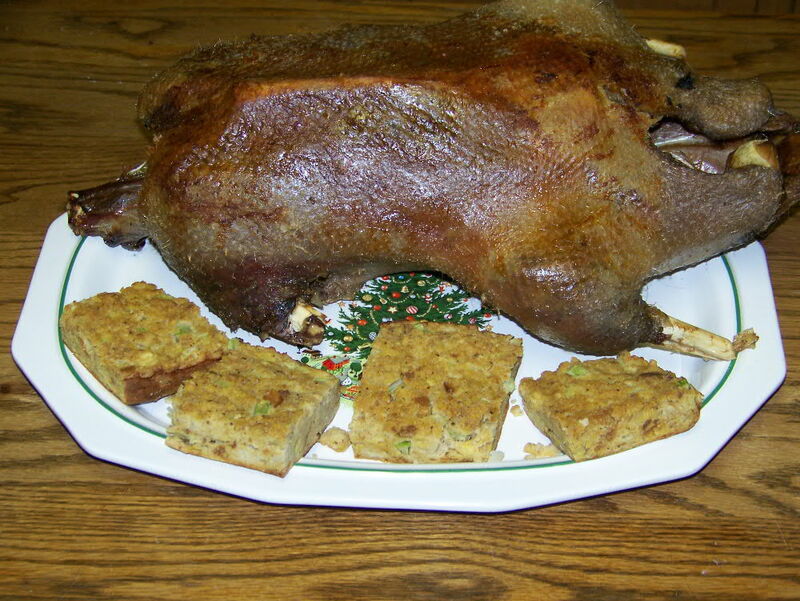 For information on cooking swan, turkeys and other wild fowl refer to my book, Backyard Deer Hunting: Converting deer to dinner for pennies per pound and blog http://www.hoveysmith.wordpress.com.